Political analysts are noting that Joe Biden recently made some serious gaffes on the campaign trail. 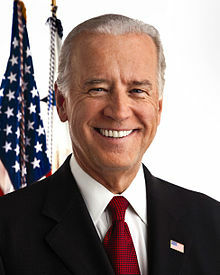 Biden was speaking in Danville, Virginia. “The comments of this nature sink the White House just a little lower,” Mitt Romney commented after learning of the remarks. “The bottom line is that we have no problem with those comments… and the context of them,” stated Obama campaign spokesperson Stephanie Cutter, noting that Biden was referring to Wall Street and not slavery. However, Ryan serves in the House of Representatives and has never been a governor of any state. “Folks, where is it written that we cannot lead the world in the 20th century in making automobiles?” he asked at the same event. Graham is confined to a wheelchair. Biden and Obama, as well as Romney and Ryan, are campaigning heavily across the nation this week.